I didn’t play with SAS/IML for a while. I call it back when I need to read some R format data. 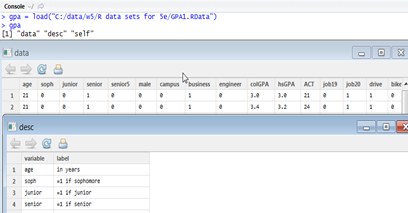 In this example, when a .Rdata is loaded, 3 objects are included where ‘data’(the ‘real’ data) and ‘desc’ (data description portion) are of our interests.